The Path to Printmaker course will teach you, step-by-step, how to sell, then how to use Swift Galleries; and actually take you through transitioning your business to in-person sales with an actionable plan. As a paid subscriber, you have access to the Path to Printmaker course. 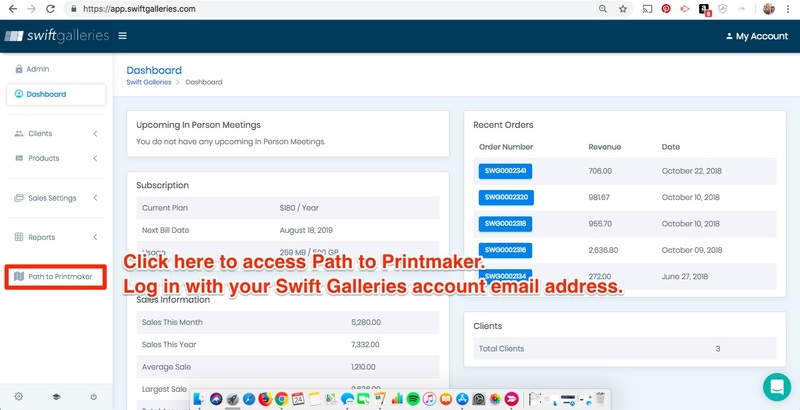 To get into the course, click the Path to Printmaker link in your Swift Galleries account and you'll log in with your Swift Galleries email address. Please note, if you have a Teachable account, you will sign in using your Teachable email address and password.